Synopsis: The film Union Leader happens to be a drama movie, which will be releasing this year. The film is directed, produced and written by Sanjay Patel. He is producing the film under the banner of Dimlight Pictures. The film has the director of photography as Nilip Deb, while the editor of the film happens to be Aurelien Brentraus and the run time of the film happens to be of 105 Mins. 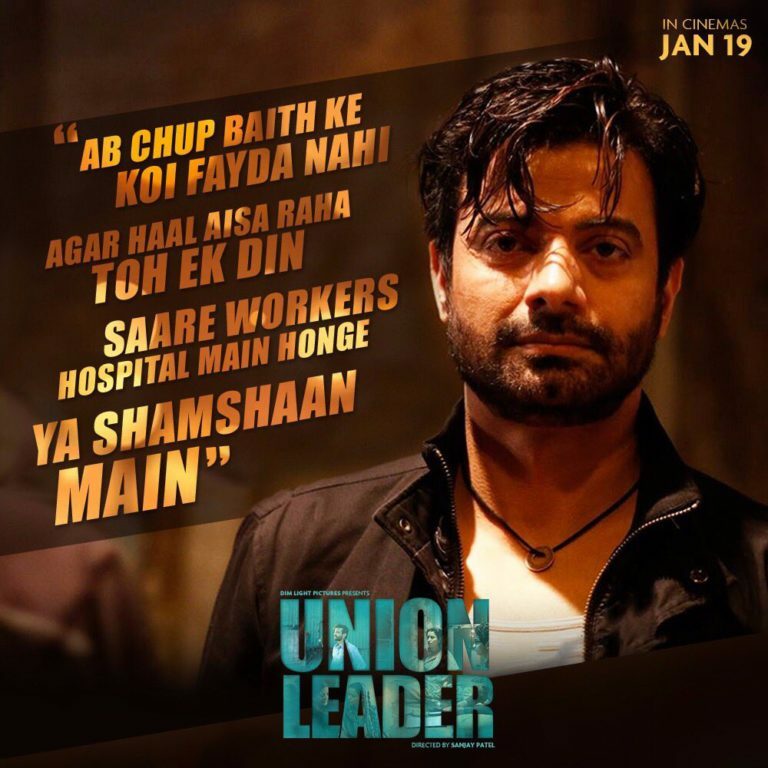 The film has the star Cast as Rahul Bhat as Jay, Tillotama Shome as Geeta, Jayesh More as Manoj, Samvedna Suwalka as Rita and Jay Vithlani as Anand, while the film earlier the title of the film was Kamdar Union, however, it was changed to Union Leader during the phase of post production of the film. Now talking about the film’s plot, it deals with a man called Jay who has resigned to his destiny as a worker in a notoriously lethal shoddy chemical plant. Jay is keen on doing more than for his family (wife and son) to get rid of the poverty but soon he realizes that he should also get away from the grave social and legal injustice found in today’s system but at the same time support his family, so, what happens next would be interesting to catch with. The filming of the movie took place at several locations in Ahmedabad, Gujarat and soon it was wrapped in December 2016. The film has been already been accepted by a couple film festivals, which include the one called the Hof International Film Festival based in Germany and the Fort Lauderdale International Film Festival based in the US in Florida.